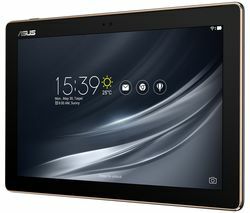 Asus tablets are designed to make it easy to work, browse, stream, capture and play wherever you are. Thin, portable and powerful, the high-resolution Asus tablet range offers a variety of memory capacities, screen sizes and processors so you can find a sleek device that’s right for your needs. Asus tablets range in size from 7” to 10.1”, all slim enough to slip into a bag to carry to the office, lecture hall, or wherever you want to take it. Powerful processors deliver seamless multitasking on the go, while the fun and accessible Android operating system is easy and intuitive to use. And there’s a personal touch – you can choose from a range of colours – silver, black, white, red and blue – for an Asus tablet that suits you. All Asus tablets are powered by the latest Intel® Atom™ Processors, for lightning-fast web-browsing, and come with Micro SD card slots so you can boost memory capacity. 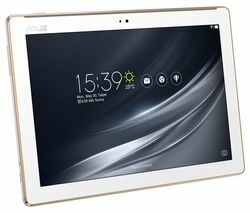 For added functionality, the versatile Asus Transformer Pad is designed to combine the portability of a tablet with the productivity of a notebook with its removable keyboard. The Android operating system, like the latest 5.0 Lollipop on the Asus ZenPad, offers up over 1 million cool apps to try via Google Play. With an Asus tablet, boredom is never an option. 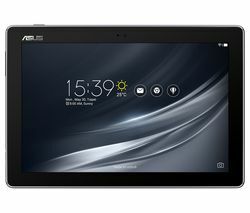 Designed to go anywhere, operate seamlessly, and deliver tablet solutions to your individual needs, the Asus tablet range offers great value as well as stellar performance. After something else? Check out our range of Samsung tablets.